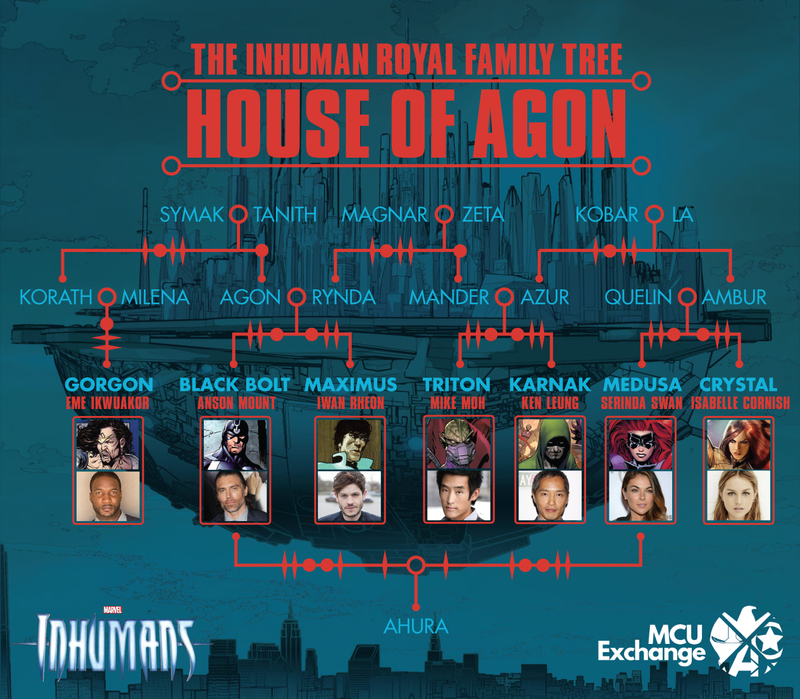 and from what I gather Karnak isn't directly related to Gorgon...Karnak and Triton are Black Bolt and Maximus's cousins because Karnak and Triton's father Mander is the brother of Black Bolt and Maximus's mother Rynda and Gorgon's their cousin because Gorgon's father Korath is the brother of Black Bolt and Maximus's father Agon. I guess the only relation between Karnak and Gorgon is that Gorgon's uncle married Karnak's aunt...but I don't think that makes them relatives. 5. Psynapse...Medusa and Crystal's first cousin...presumably the nephew of her father Quelin.